Is not it already the peak in the 2010’s? I wonder if it is the current pole that made it completely imperative so that I could not stay without thinking before I came to Japan. 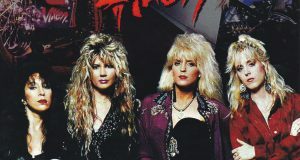 The new album released with full evolution into a huge hit, looks also tightened, yet elegant style making the most of gray hair. Besides, I can not think that it is an old man in his 70s, such as being able to dance to his songs on SNS. The dance also performs it suppleably much more flexibly than when I was singing “P.S. Love Me Do” without instruments (laugh). As if to express Paul ‘s confidence that can be called outstanding without a doubt, there are already two latest live images already. Although it is “LIVE FROM NYC” as “UNDER THE STAIRCASE” already released, the video from the main part of Frechenn Up Tour will finally come on! 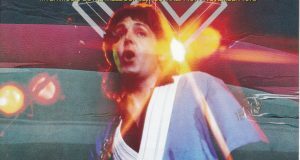 I think now that the album production has reached the final phase, but this year’s Paul ‘s live activity has not been announced very well. 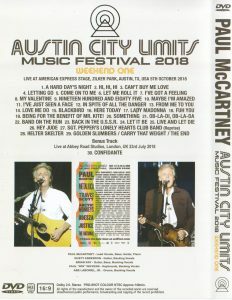 The live appearance which became the first obvious in such a situation was “AUSTIN CITY LIMITS MUSIC FESTIVAL” which was held in Austin this month. 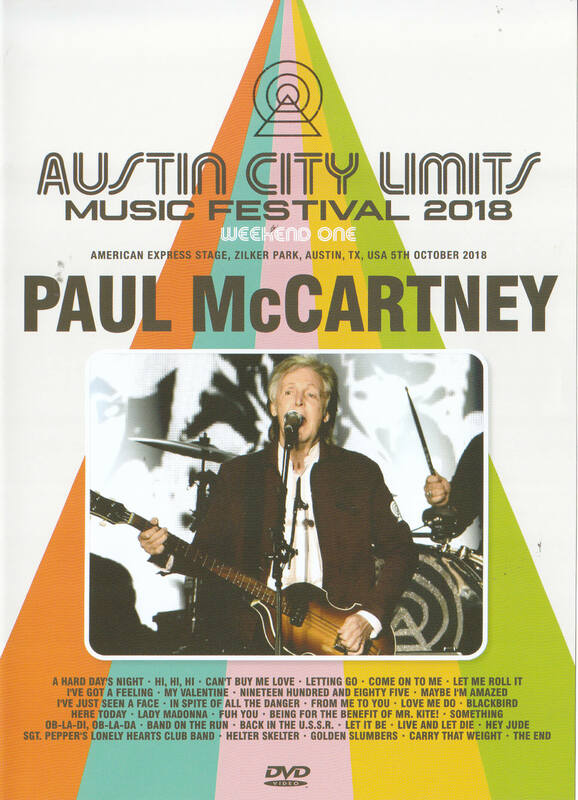 After that the whole tour was announced and it was translated into the present, but the stage of the first October 5 was delivered a few days later in the Austin festival performed for two weeks, and delivery in the morning in Japan I wonder if there were more people who saw it. The point that this broadcast was revolutionary is that the festival itself was an event involving public broadcasting stations called PBS, so the live broadcasting would have been committed. Not only that, it is high point that the entire show was broadcast this time. Although the same broadcasting was realized when it appeared in the event “OUTSIDE LANDS FESTIVAL” in 2013, only one third of the actual live was released, and the Japanese performance will be broadcast later And there was a picture that the value has halved. However this time the entire live broadcasting well. This year’s pole that was already blessed with two professional shots and live images, but with this it will be compatible with the emergence of a splendid pro shot from the main part of Frechenn Up Tour. The image of special gigs such as Abbey Road Studio and Grand Central Station is of course attractive, but the stage that the album was released and the engine was fully opened The main story is what I want to watch quality live images. Paul’s confidence of this year can be heard from the place which fulfilled wishes of such fans most easily fulfilled. There are only things that have already performed some shows after the start of the tour, and both Paul and the band are doing great. Also, a little tightened Paul’s looks are “cool pro shoot”. Regarding his singing voice, it is not comparable with the early stage of “UNDER THE STAIRCASE” who was also warming up. It is remembered that this is also the condition of the main part of the tour. It seems that Shout of “Maybe I’m Amazed” which seemed to be one side faded for a while, seems to be able to sing powerfully as old age got it firmly. This may also be a technique that Paul’s current confidence can do. It is the first time in the horn section that became clear by the gig at Grand Central Station that I can not miss anything. As a result of their participation, the part supplemented with the sampling of the keyboard of Wix was reborn as a suddenly realistic and exciting sound. 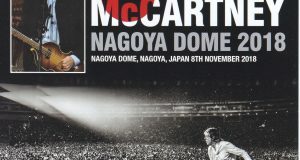 Though they are already proven in such examples as “Letting Go” and “Lady Madonna” in the example gigs, they feature more extensively in the main tour. Among them, the finale “Golden Slumbers – Carry That Weight – The End” that will make the performance a wonderful presence. Because sampling was still somehow at Grand Central Station, the power of the horn ‘s realistic sound is masterpiece. I feel like being able to show the innate nature of the Nama musical instruments. In the same way “Horn and Let Die” added with the above “Letting Go”, it seems like it seems like an illusion as if watching the 1976 wings. In addition, “Ob – La – Di, Ob – La – Da” etc is also fun to hear freshly by adding horn. Director’s performance is also expected, as horn section appears from the audience. And the content of the enhancement to record “Confidante” from the new album from the image of Abbe Road, Studio Gig, surely will not be picked up in the stage performance surely in the bonus. As you can see if this Austin’s video has already been viewed in real time in Japan in the morning, releasing on press DVD is perfect without complaint of image quality and sound quality. Even more so if you can see Freshin Up Tour tour in the best quality Pro Shot video. 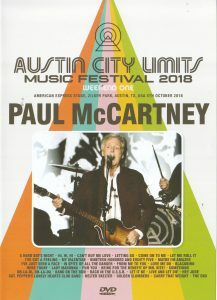 Prepare to catch up with Abbey Road Studio before album release, Grand Central Station just after release of album, and Paul who will visit Japan this time in Austin!